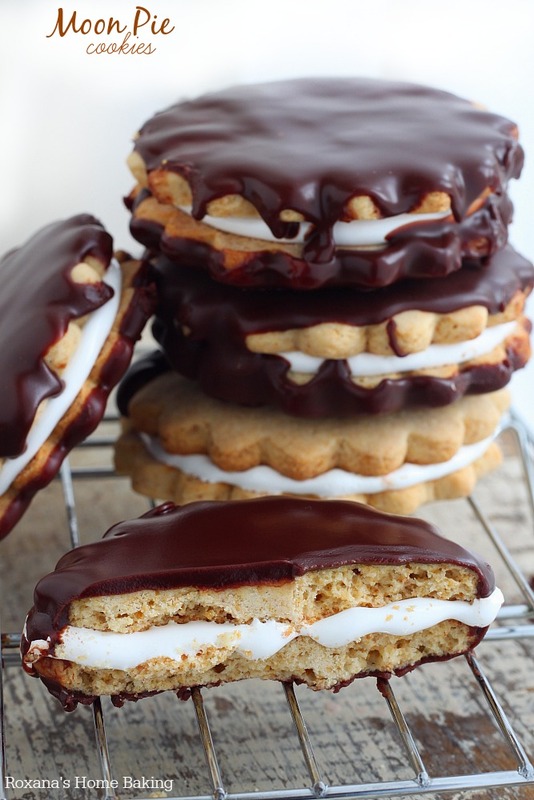 Melt in your mouth graham cookies filled with homemade marshmallow creme and dipped in chocolate ganache – these moon pie cookies are what dreams are made of. Moonpies or moon pie cookies I really don’t know exactly what’s the correct name (or maybe it’s both) but what I know is that these cookies stole my heart at a young age. Everytime I had a little pocket change I rushed to the local Turkish (that’s how we called them although the owner was Armenian) store and buy a moon pie. The store was famous for its homemade icecream and lemonade, the best in the south part of the country. People from surrounding cities would come over just to ice-cream and lemonade. And they were good, I’m not going to lie! In fact they were amazing, but what made my heart skip a beat every single time were the moon pies. Back then I had no idea the American version was called moon pie, I just wanted that filled soft cookie dipped in chocolate. Now, years after I came to US, I still visit the local store when I fly back to Romania but I don’t have to wait two years to sink my teeth into the best moon pie cookies because now I can make my own every time I crave them. And they are just like the ones I remember. Making moon pie cookies is not a child’s play. Be warned! It takes patience and lots of it. But once you bite into a cookie all worries will go away and a new world will reveal in front of you. Before you start, read the recipe very careful. Make sure you have everything you need on hand. Nothing is worse than realizing in the middle of the recipe you are missing an ingredient. Follow the directions and don’t rush the waiting time. Be patient!! These look amazing!! What a delicious recipe, Roxanna! Roxana, oh my goodness!!! 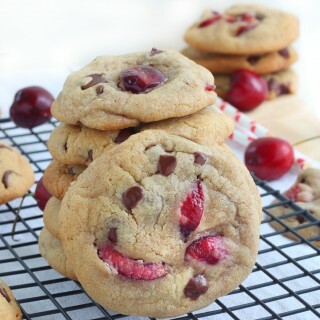 love these cookies!! hopping over now to check out the recipe!! Happy Sunday! You have totally outdone yourself once again. My anniversary is coming up and it this would be the perfect treat for my husband. 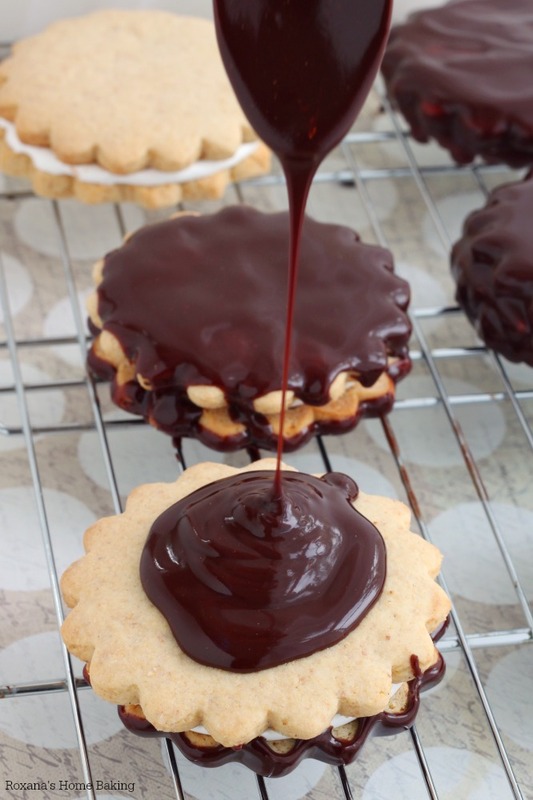 These cookies look incredible, love the dip in chocolate! This is a great idea! Love these! Pinned! 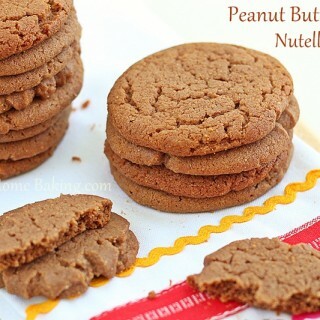 Great share must try :)!!! These are absolutely amazing all the way down to the homemade marshmallow creme (which I love)! Beautiful little pies, and I need to try these with the marshmallow creme I just made recently! 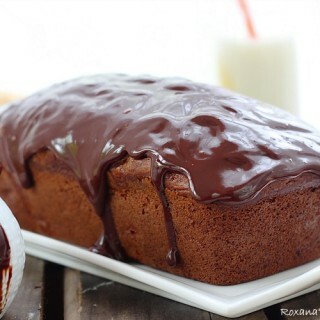 There is no way the store bought version was as good as this homemade version! Yum! These look so amazing! I love chocolate and marshmallow anything! I've never had a moon pie or even really knew what they were. But now that I know I MUST make these. Click over for the recipe and to pin! These look out of this world delicious! Oh my, these look utterly amazing!! Your moon pies look so yummy. Give me some hot chocolate and I'm good to go.